Brutus is remembered for the good work he did against South African Apartheid, but his real life's mission was promoting socialism. Brutus was born in Salisbury, Rhodesia in 1924, but his South African parents soon moved to Port Elizabeth, in the Republic of South Africa. Brutus entered Fort Hare University on a full scholarship in 1940, graduating with a distinction in English and a second major in psychology. Further studies in law at the University of the Witwatersrand were cut short by imprisonment for anti-apartheid activism. Brutus’ political activity initially included extensive journalistic reporting, organising with the Teachers’ League and the African National Congress movement, then already extensively infiltrated by the Communist Party of South Africa. He was also an early leader in the new South African Sports Association as an alternative to white sports bodies. After his "banning" in 1961 under the Suppression of Communism Act, he fled to Mozambique but was captured and deported to Johannesburg. There, in 1963, Brutus was shot in the back while attempting to escape police custody. He nearly died while awaiting an ambulance reserved for blacks. While recovering, Brutus was held in the Johannesburg Fort Prison cell which more than a half-century earlier housed [[Mahatma Gandhi]]. Brutus was transferred to Robben Island where he was jailed in the cell next to Umkhunto We Sizwe terrorist leader [[Nelson Mandela]]. 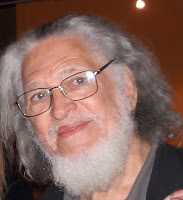 Forced into exile, Brutus resumed simultaneous careers as a poet and anti-apartheid campaigner in London, and while working for the [[International Defense and Aid Fund]], was instrumental in achieving South Africa's expulsion from the 1968 Mexican Olympics and then in 1970 from the Olympic movement. Brutus moved to the US in 1971, serving as a professor of literature and African studies at Northwestern (Chicago) and Pittsburgh. He defeated efforts by the Reagan administration to deport him during the early 1980s. While in the US Brutus worked closely with the Communist Party USA, Institute for Policy Studies, Africa Action and various other Marxist organisations. In 1972 he was a sponsor of the Communist Party's National Anti-Imperialist Conference in Solidarity With African Liberation, held at malcolm X College in Chicago. In the 1980s Brutus served on the Board of Directors of the Chicago based Black Press Institute, a Soviet/Cuban/Grenadan connected operation run by Alice Palmer-later a political mentor to Barack Obama. Following the ANC/South African Communist Party takeover of South Africa in 1994, Brutus resumed activities with "grassroots social movements in his home country"-mainly Trotskyist oriented operations. In the late 1990s he was a featured speaker each year at the Marxist controlled World Social Forum and joined protests against the World Trade Organisation, G8, Bretton Woods Institutions and the New Partnership for Africa’s Development. In October 1998 Brutus returned to the US to celebrate the 150th Anniversary of the Communist Manifesto, by speaking at the "Manifestivity" at Cooper Union's Great Hall, New York. In 2006 Dennis Brutus contributed a foreword to "Marx, Lenin, and the Revolutionary Experience: Studies of Communism and Radicalism in an Age of Globalization" by US Trotskyite writer Paul Le Blanc. Up until this year Brutus still served on the Advisory Committee of the US based Independent Progressive Politics Network-a group linking activists from Democratic Socialists of America, Committees of Correspondence for Democracy and Socialism and other Marxist tendencies. Among awards Brutus recieved were the US War Resisters League peace award in September 2009, two Doctor of Literature degrees conferred at Rhodes and Nelson Mandela Metropolitan University in April 2009 -- following six other honorary doctorates – and the Lifetime Achievement Award of the South African government Department of Arts and Culture in 2008. Brutus loved Venezuela and Hugo Chavez-seeing him as a leader of world socialism. Below is a poem presented by Dennis Brutus, when in Venezuela for the eighth meeting of the "Network of Intellectuals and Artists in Defence of Humanity" and the "World Forum for Alternatives", October 18, 2008. Even in his last days, Brutus was fully committed to revolution "advocating social protest against those responsible for climate change, and promoting reparations to black South Africans from corporations that benefited from apartheid". In August 2009 Brutus called for the "Seattling" of the recent Copenhagen summit because sufficient greenhouse gas emissions cuts and North-South "climate debt" payments were not on the agenda. The danger in falling short of setting deep cuts of 45% from 1990 carbon emission levels is that it puts us beyond the tipping point where unknown additional and more catastrophic changes will be wrought in the earth's water and rainfall systems, ultimately killing millions in sudden and violent storms, droughts and fires. Brutus intended to attend the conference as he states in the video above, filmed on the occasion of his 85th birthday, however he died shortly afterwards. Dennis Brutus led a vigorous and committed life, but ultimately a served tyranny and destruction far more than human liberty. He lived a whole life without learning that liberating South Africa's blacks and coloureds, could be achieved without enslaving everyone else on the planet. Sounds like a good bloke. I am sad he has passed away. I really liked your blog! Please come visit my site Colorado Springs Phone Book when you got time. I really liked your blog! Please come visit my site Colorado Springs Business Directory Forum Blog Classifieds when you got time. Thought you'd like him Cameron. how you doin'? thought you & your readers might be interested in a new documentary, Fair Play, which tells the story of the anti-apartheid movement sports boycotts Brutus played such a key role in. Here’s a trailer:http://activevoice.net/haveyouheard_fairplay.html.